Himalayan Salt is different from salt found anywhere else on the planet; for one thing, it is uniquely beautiful. It has a natural pinkish or light reddish tint and under a microscope the crystals within the salt form gorgeously perfect geometric patterns. 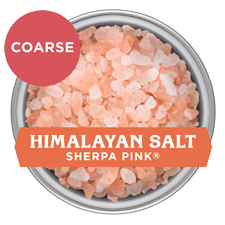 Himalayan Salt, when left raw and in its natural state, is rich in nutrients and minerals. Since many of these elements found within each grain of salt naturally occur within us and in the environment, they are easily absorbed and utilized on a cellular level. 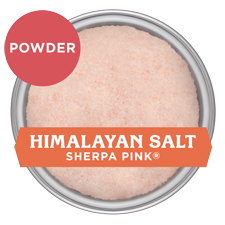 Pink Himalayan Salt re-mineralizes the body with minerals and trace elements essential to our health and well being. Formed over the last 250 million years, Pink Himlayan Salt is considered the purest and most beautiful salt in the world. 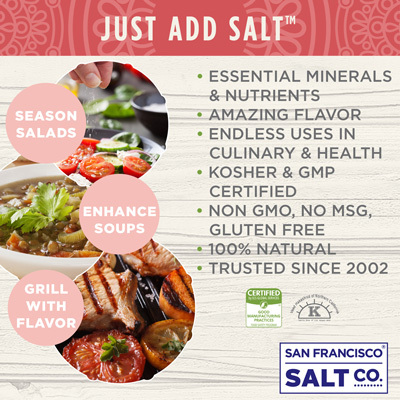 YOUR NEW "GO-TO" SALT - Use wherever regular "table salt" is used as a delicious alternative, with beneficial trace minerals. 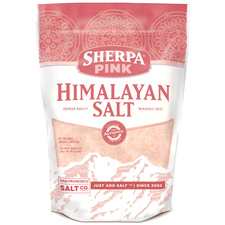 * Current research suggests that Himalayan Salt just might be better for you than regular table salt. 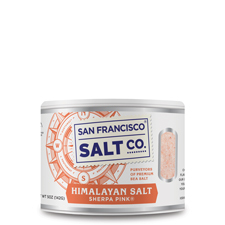 Before the advent of modern medicine, some say the salt was often utilized as a home remedy to combat symptoms of various illnesses; in addition, gourmet cooks and food lovers prefer Pink Himalayan Salt over regular salt because of its richer, fuller flavor. WHAT IF SALT COULD BE HEALTHY? - Ordinary table salt goes through a chemical “cleaning” process that robs salt of its trace minerals and nutrients. The result of this harsh treatment is Sodium Chloride- a somewhat unnatural form of salt that our bodies have a difficult time utilizing and digesting. Pink Himalayan Salt is delivered to you raw, in its natural pure form and contains minerals and nutrients that are easily absorbed and good for your health. 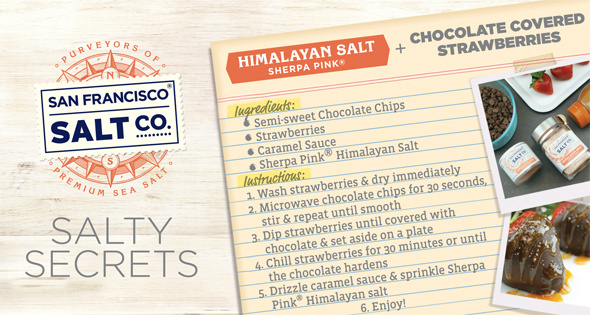 AS VERSATILE AS IT IS DELICIOUS - High-quality, gourmet food-grade Himalayan salt is as versatile as it is delicious! 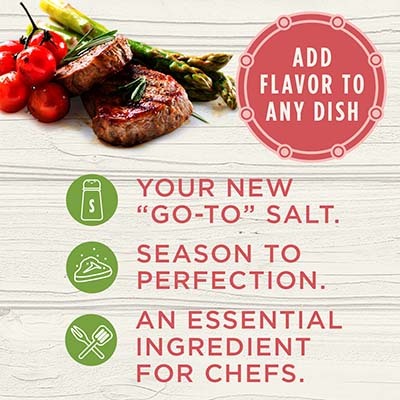 Cooks find that Himalayan Salt enhances the flavor of: omelets, stir-fry, steak, pizzas, salads, and much more. Many believe that this salt could be the answer for those of us who wish to remain healthy while keeping sodium in our diet. 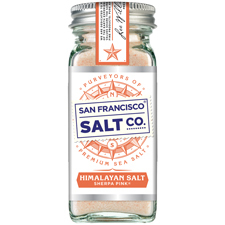 Note: If your doctor recommends a low-sodium diet, please follow their advice when using all salts, including Himalayan pink salt. ​*This salt does not supply iodide, a necessary nutrient. GRAIN SIZE - Available in Powder, Extra-Fine, Fine, & Coarse Grain. 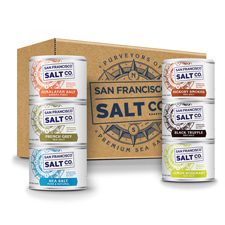 Q: Why are your salts priced lower than anyone else out there? 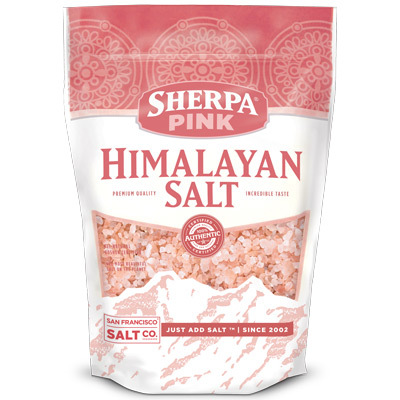 A: We are one of the largest importers of Himalayan Salt in the USA, so we are able to price our salt more competitively by passing our savings on to the customer! 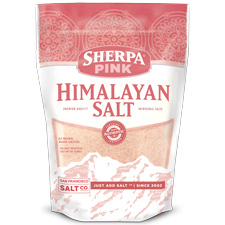 Despite Himalayan Salt being a unique and wonderfully pristine salt, we don't believe that is should be sold for outrageously high prices. Q: I’d like to buy this salt for bathing and for cooking. What grain sizes are best for each? 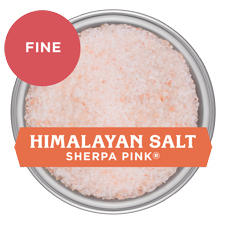 A: If you’d like to use Himalayan Salt directly on food, we recommend a finer grain like Powder, Extra-Fine, or Fine. If you prefer to grind your own salt, we recommend Coarse grain. For bath & spa use, it’s up to you! Larger grain sizes take longer to dissolve - but look beautiful in the water, whereas smaller grain sizes dissolve faster and are ideal for making exfoliating salt scrubs. 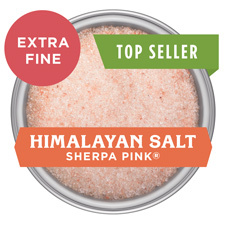 Q: How do I make sure I am buying the highest-quality Himalayan pink salts available? 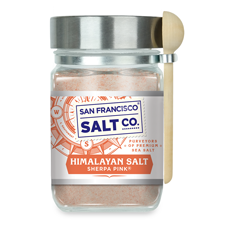 A: At San Francisco Salt Company, we believe in only importing and selling the highest quality Himalayan Salt. All our Sherpa Pink® Himalayan Salt comes with a certificate of authenticity stating that it is 100% pure and natural and does not contain any anti-caking agents or free flowing agents. We bring you these salts in their natural, raw state - delivering all the minerals, nutrients, and magic of the Himalayas to our customers. Q: Why doesn't this salt dissolve fully into water? A: This product is an all-natural rock salt and may include insoluble mineral deposits with a slow dissolve rate (this will be most apparent in the coarse grain). We have strict quality assurance policies in place to keep inconsistencies to a minimum. A slow dissolve rate is a natural characteristic of Himalayan Salt and a good indication that you are using authentic pink Himalayan Salt!